Following is an example of a Organization Chart. Organization chart helps in rendering a hierarchy of nodes, used to portray superior/subordinate relationships in an organization. For example, A family tree is a type of org chart. We have already seen the configurations used to draw a chart in Google Charts Configuration Syntax chapter. Now, let us see an example of a Organization Chart. 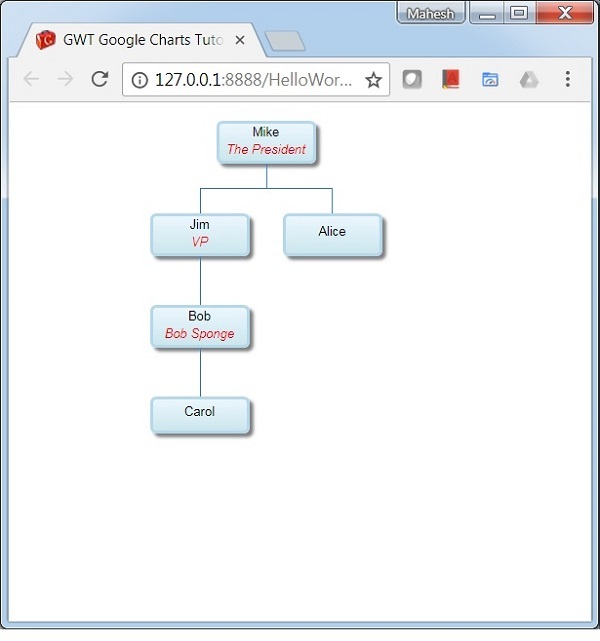 We've used OrgChart class to show a Organization Chart.